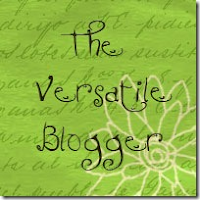 I have received a blog award from my friend Kendra at The Things I Love Most. As part of the award, I have been asked to share seven things about myself with you. 1. In general, I take dreams seriously and nay-sayers lightly. 2. As a Mother, I often feel powerful. 3. In conversation, I try to listen closely to what the other person is not saying...something that probably developed out of the fact that I talk more than I should. 4. I often laugh at my many idiosyncracies, but I make no apologies for the way that I am. God made me this way for a reason, so I try to make the most of the strengths and weaknesses he has given me. 5. I feel most alive, most humbled, and most closely watched over by the Lord during difficult times. He has never made me walk alone. 6. I think about every single friend I have ever had...like once a day. "...We talk of Christ, we rejoice in Christ, we preach of Christ, we prophesy of Christ, and we write according to our prophesies, that our children may know to what source they may look for a remission of their sins." 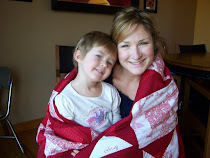 I don't think I could have ever predicted what a big influence this scripture would have on my approach to Mothering. how's your foot? I hope your okay. Very honest and thoughtful insight you have on yourself! Love loved it! Wow, Thank you! Its so nice to hear such positive things. Thank you so much! You sweetheart! I'm so excited about this. I have my post scheduled! And how does Carrie know everyone that I know. I love it! send me an email so I have your email address for the art exchange.